Yeah, I should have added more of the bodies in. lol Some people got the wrong idea and I was all NOOOOOOOOOO. Is that a ware wolf? by the way the picture is awsome. No it's just a regular wolf like creature. 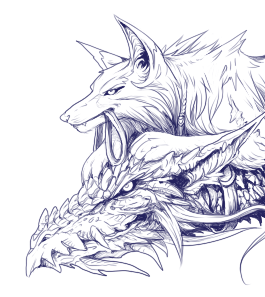 I love the dragon and the wolf's ears.